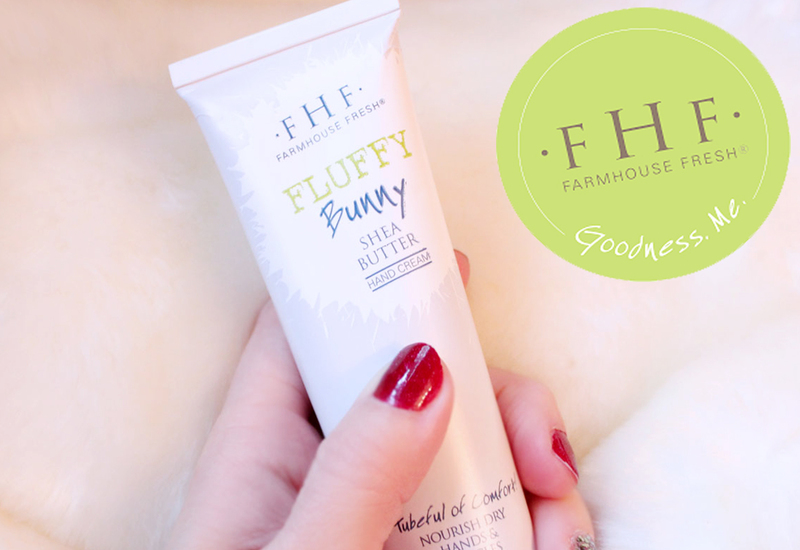 This Shea Butter whip is a tubeful of comfort! Our lightest, fluffiest scent will swirl you into a dreamlike state with mint-julep, cream and just a hint of lavender. It's fresh, but uplifting and delicious at the same time. 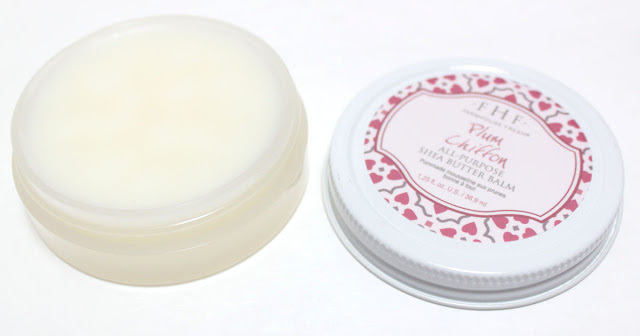 Just like our other shea butter creams, the supple butters and Vitamin E packed Jojoba and Soybean oils calm even the severest of dry skin, without a hint of a greasy feel. You'll be 100% silky soft (are dare we say - cuddly!) Plus, this 2.4 oz tube loves to travel. This is the best smelling hand cream I have ever used. Maybe the best smelling anything. I want this scent in body lotion, shower gel, and a perfume! Lightly scented mint cream finishes with a hint of relaxing lavender. It smells almost like marshmallows once dried. So yummy! The texture of Fluffy Bunny is interesting, almost like a liquidy whipped souffle. 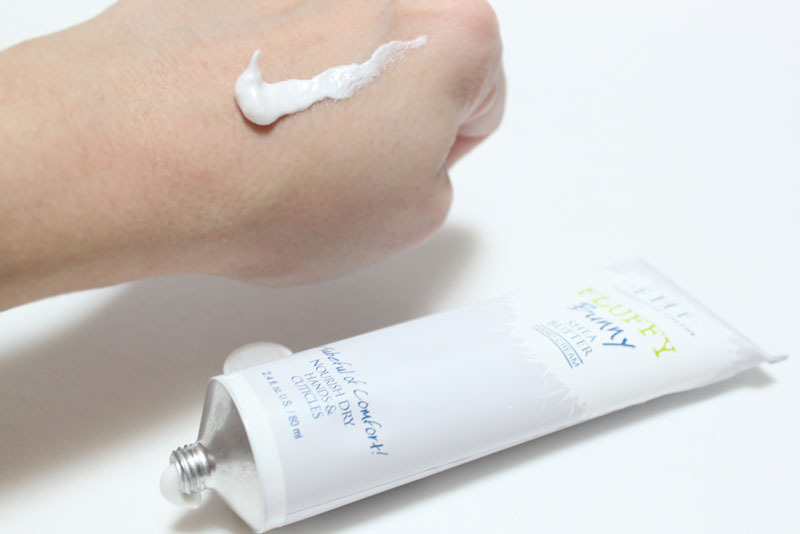 It's non-greasy, emollient, and leaves your hands moisturized once it sinks in. I only need a tiny bit to get super soft hands. The tube is perfect for popping in to the purse. 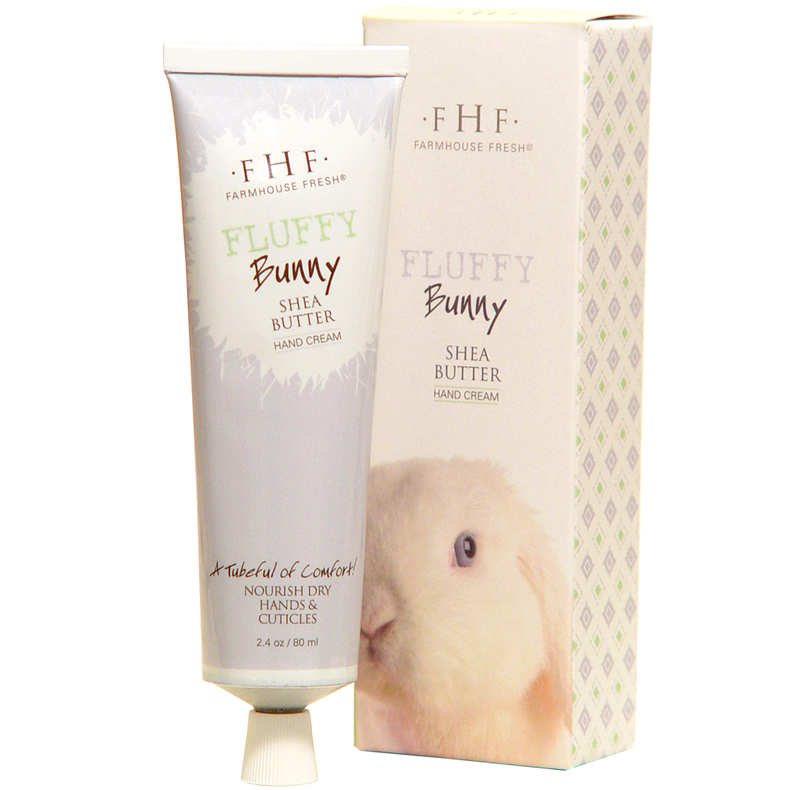 I wanted this for the adorable name and packaging, but Fluffy Bunny turned out to be a lovely hand cream on top of all that cuteness! Another product from FarmHouse Fresh saving my hands this Winter is the new Plum Chiffon All Purpose Shea Butter Balm. Prepare to melt! Pure Shea, cocoa and mango butters have been combined into a rich, solid, scrumptious all purpose balm that melts into skin on contact, nourishing dry, chapped hands, knees, knuckles - even lips! Plum Chiffon is softly scented with an all natural sugared plum rose scent. 99% natural, and like all FarmHouse Fresh Products, Plum Chiffon All Purpose Balm is Paraben & Sulfate free. This light multi-purpose balm is silky soft and just like Fluffy Bunny it smells amazing. It can be used on any areas of dry skin and even your lips. The Plum Chiffon scent is sweet like a sugar plum with a hint of rose. I really like using this on my dry cuticles, it completely repairs them. 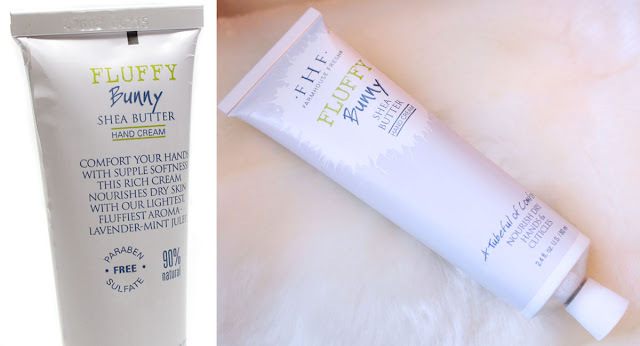 Combining these two products together have made a huge difference in keeping my hands moisturized this Winter!